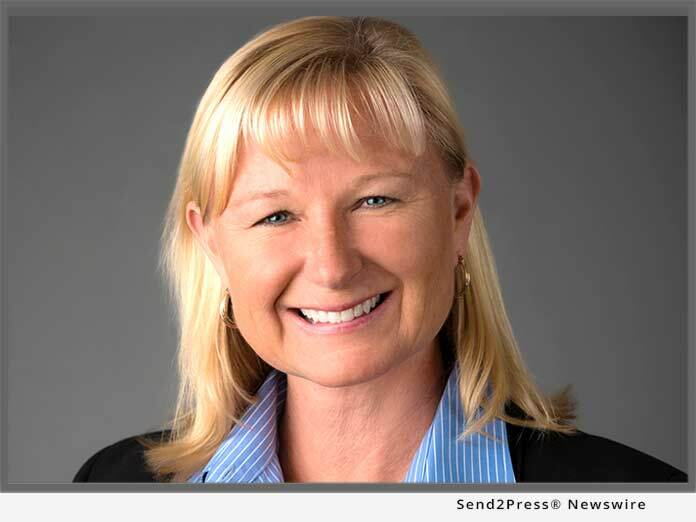 SAN DIEGO, Calif., Oct 26, 2018 (SEND2PRESS NEWSWIRE) -- ReverseVision, the leading provider of technology and training for the reverse mortgage industry, announced today that Vice President of Sales and Marketing Wendy Peel has been honored by National Mortgage Professional (NMP) Magazine as one of Mortgage Banking's Most Powerful Women. The NMP award, new this year, honors "women who continue to blaze new trails and lead the way for a brighter future in today's mortgage profession." Peel was recognized for reimagining and redirecting how Home Equity Conversion Mortgages (HECMs) and other reverse mortgage products are viewed by lenders and consumers in ways that will have a long-lasting and positive impact on the mortgage industry. Peel's innovative Generational Lending(TM) approach to serving borrower needs across the consumer lifecycle has entrenched ReverseVision as the reverse mortgage market's most dynamic and leading origination platform while simultaneously winning over lender hearts and minds on the benefits of reverse mortgages. She is a regular contributor to industry trade publications, writing on topics from Generational Lending to connecting with baby boomers online. "When Wendy joined us in 2015, she embarked on a multi-year education campaign to enlighten lenders and brokers as to the significant opportunity open to them in originating HECMs," said John Button, president and CEO of ReverseVision. "More recently, she has expanded on that theme to demonstrate the positive impact of positioning HECMs alongside traditional mortgages for every potential borrower." A complete list of Mortgage Banking's Most Powerful Women appears in the October issue of NMP: https://www.nxtbook.com/nxtbooks/nmpmedia/nmp_201810/#/0. National Mortgage Professional Magazine has become "The Source for Top Originators" - that connects the mortgage professional community under various media formats. Our exceptional team of industry-seasoned monthly contributors combined with our knowledgeable editorial staff, all with meaningful expertise in their respectful disciplines, provide the most up-to-date news, insight and advice for today's mortgage professional. We are committed to ensuring that today's industry is equipped with the most comprehensive understanding of mortgage news available through our many resources, including, but not limited to, articles in the print edition of National Mortgage Professional Magazine and 38 state-specific e-editions, the NMP Daily and NMP Ticker email newsletters, the exclusive daily news stories and postings on our website (https://nationalmortgageprofessional.com), and our regular series of original Webinars, along with a number of additional resources in the works. A three-time HousingWire TECH100(TM) company, ReverseVision has also been recognized in Deloitte's Technology Fast 500(TM) listing. ReverseVision's annual user conference, the only event of its kind in the industry, brings together more than 200 lenders, vendors and educators each year to advance HECM lending. The company continues to build on its technology's pioneering capabilities with frequent enhancements aimed at boosting users' HECM volume, workflow efficiency and data analysis capabilities.